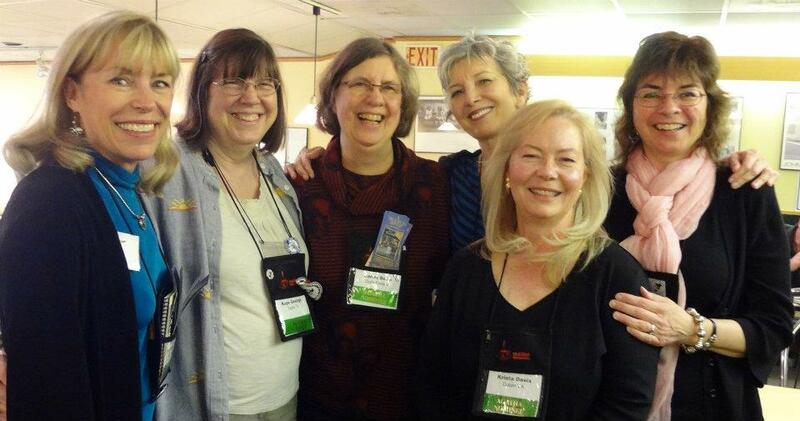 Six Guppy Agatha nominees: Daryl Wood Gerber (Best Short Story), Kaye George, Janet Bolin, and Rochelle Staab (all for Best First), Krista Davis (Best Short Story) and me (Best Nonfiction). 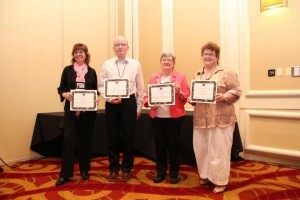 With three other Best Nonfiction nominees: John Curran, AB (Barbara) Emrys, and Charlaine Harris. Michael Dirda joined us Saturday for the panel discussion and awards dinner. 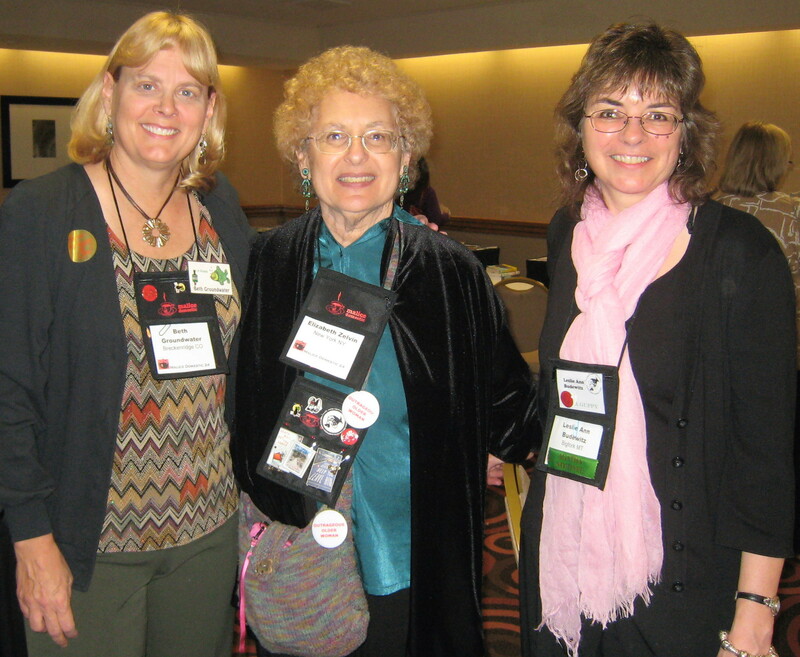 This entry was posted in Books Crooks and Counselors and tagged AB Emrys, Agatha awards, Beth Groundwater, Charlaine Harris, Daryl Wood Gerber, Janet Bolin, John Curran, Kaye George, Krista Davis, Liz Zelvin, Rochelle Staab by Leslie Budewitz. Bookmark the permalink. Wonderful pics–I’m so happy to see some people I “know” on-line and now put their faces to their names. As a side note, what huge name tags! LOL: I guess they made it easier to see, which is a good thing. And I guess there might have been added info on them, like memberships, other things such as state a person is from or?